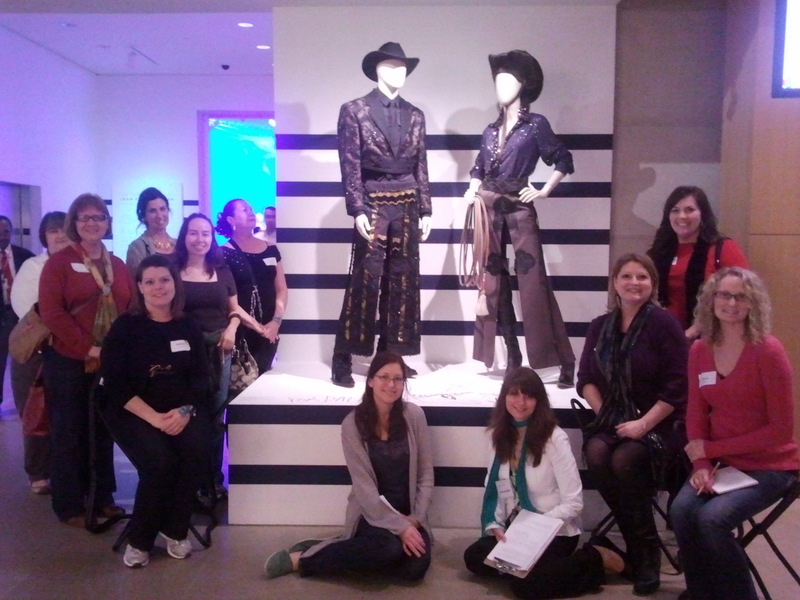 With all the amazing experiences you can have at the DMA, what could be better than learning about our work firsthand? Each September, DMA staff welcome a new class of McDermott Interns through the McDermott Internship Program. And thanks to the generous support of the Eugene McDermott Education Fund, we are even able to provide our fabulous interns with a stipend. Although I may be a bit biased (I was a McDermott Intern last year), McDermott Interns truly are a vital part of the DMA. We couldn’t survive without them! Throughout their short nine-month stint at the Museum, they contribute to various projects, from exhibitions to tours to programming and beyond. We even make sure our interns get to experience other arts organizations around the Metroplex. It’s a smorgasbord of museum opportunities! What has been your favorite part of the McDermott Internship so far? Hannah: Definitely teaching. I love going into classrooms and interacting with the students; their energy, enthusiasm and curiosity is contagious. They are constantly reminding me why I am so passionate about art and teaching. I also really enjoy going to docent training lectures and discussions, because it gives me the opportunity to keep learning. Hannah (center right) with local teachers during the Art and Fashion Teacher Workshop. Jessica: My favorite part of being a McDermott Intern is being able to work with some of the friendliest and most dedicated people I have ever met. I have also really enjoyed learning about the DMA’s collection and fantastic exhibitions, and then passing on that exciting knowledge when giving tours. It is so rewarding to know that you made someone’s trip to the Museum memorable! In your opinion, what is one reason why someone should apply to be a McDermott Intern? Hannah: One thing that is really unique about being a McDermott intern is that you get the chance to work really closely with one department, while also getting opportunities to collaborate and interact with the entire staff of the Museum. With guidance and support, you have many responsibilities within the department you are working for, and your days are filled with diverse tasks, activities and programs. No two days are the same! Jessica: One word: EXPERIENCE! The staff at the DMA will ensure that you are given every opportunity to learn about the inner workings of so many different departments within the Museum. The DMA really values McDermott Interns as professional coworkers, not just as extra help. It is that kind of attitude that really makes being a McDermott Intern a wonderfully fulfilling experience. If you or someone you know is interested in exploring a museum career, check out our Museum Internships page, which includes more information and a link to the 2012-2013 McDermott Internship application form. We look forward to your submissions!